Humanitarian Umra Omar founder of Safari Doctors, which provides essential medicines and healthcare to people in remote parts of Kenya; nonagenarian and founder of Edinburgh Direct Aid, Dr Denis Rutovitz MBE – who put his life on the line to assist victims of natural disaster and war around the world; and human rights campaigner Jasvinder Sanghera CBE – who founded Karma Nirvana, which supports victims of honour-based abuse and forced marriage have been shortlisted as finalists for the Robert Burns Humanitarian Award 2019. Part of the Burns an’a’that! Festival 2019 and Burns 260 celebrations, the Robert Burns Humanitarian Award is supported by South Ayrshire Council and Scotland's Winter Festivals – a programme of events funded by the Scottish Government and managed by EventScotland. 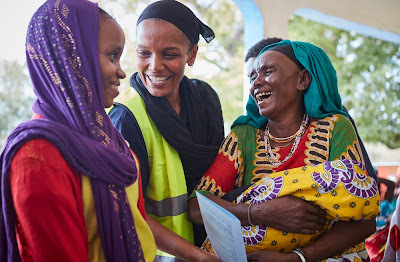 Umra Omar (35) (pictured above) founded Safari Doctors in Lamu, Kenya in 2015 and now provides essential medicines and healthcare to around 20,000 people in 20 villages along the country’s remote coastline. The free service is provided by land, sea and air to villages that are caught between military and militants, and it has seen child immunisations rise, communicable diseases halve, expectant mothers attend antenatal appointments double, and family planning triple. Safari Doctors’ mission is to provide affordable and appropriate healthcare to marginalised communities, with the aim of creating thriving communities in remote settings that have adequate access to affordable health solutions and improved livelihoods. Umra has also launched a youth Health Ambassadors programme with 30 young men and women, across eight villages, having received basic health education and training, with the aim of them becoming leaders in their communities and promoting wellbeing. Dr Denis Rutovitz MBE (90) (pictured above) enjoyed a distinguished career in human genetics before founding Edinburgh Direct Aid (EDA), a voluntary organisation assisting victims of natural disaster and war around the world. Established in response to the daily reports of war in Bosnia in 1992, Denis led the majority of aid convoys for the first three years, delivering food and essential supplies – often under sniper fire. After the war, Denis and EDA continued working to provide aid in Bosnia as well as Kosovo, Sri Lanka, Pakistan, and Kenya. In Arsal in Lebanon, where there are 35,000 Lebanese and around 70,000 Syrian refugees, EDA operates a community and vocational training centre, sewing workshop and gym for refugees and poor Lebanese alike. 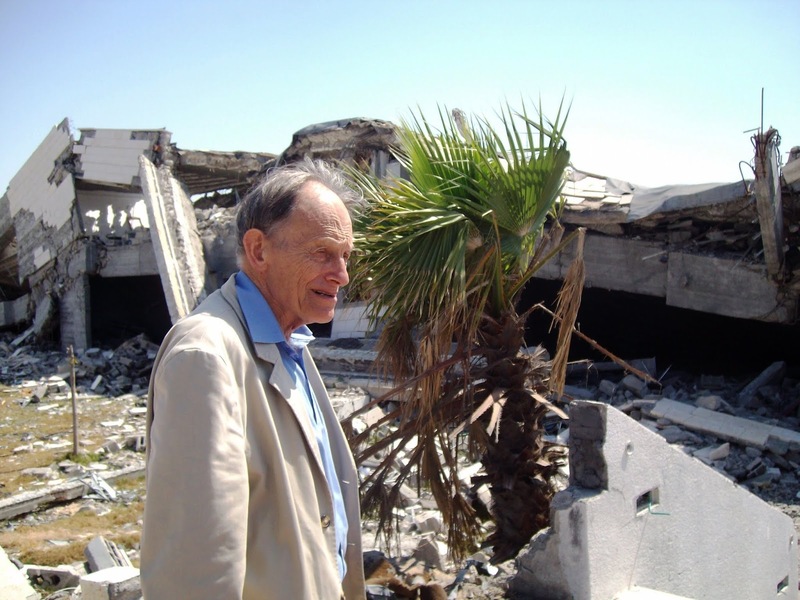 Denis has also personally raised thousands to help others, marking his 90th birthday by running two 10k races to raise funds to support refugee twin brothers through a three-year degree course at the Lebanese International University. Jasvinder Sanghera CBE (pictured above) founded Karma Nirvana, a human rights charity that supports victims of honour-based abuse and forced marriage after escaping her own forced marriage and seeing one of her sisters take her own life as a way out of the domestic abuse within her forced marriage. At the heart of the charity is a national helpline – which receives around 500 calls per month – to support victims in immediate danger, alongside training and development for professionals, including the police, NHS and social services, as well as in schools. 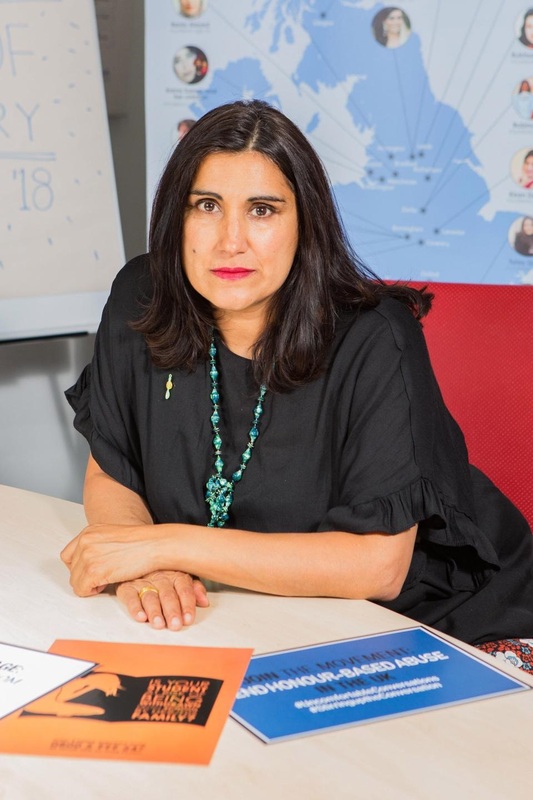 Jasvinder and the charity also act as expert witnesses in court, raise awareness at events nationally and internationally and lobby government – Jasvinder’s work over 10 years of lobbying and campaigning was pivotal in forced marriage becoming a criminal offence in the UK in 2014. A passionate and prominent campaigner and author, Jasvinder has spent the last 25 years standing up for others. Councillor Douglas Campbell, Chair of the RBHA judging panel and Leader of South Ayrshire Council, said: “The calibre of this year’s nominees – who came from right across the world – was truly outstanding and my thanks to everyone who took the time to nominate and share the fantastic stories of the 28 nominees my fellow judges and I had to consider. “While it was no easy task to filter the list down to a final three, Umra, Denis and Jasvinder all stood out right from the start as fantastic examples of individuals who follow in Rabbie’s footsteps and devote themselves to others and push the boundaries for social change – transforming lives in the process. Find out more about the Burns an’a’that! Festival 2019 at www.burnsfestival.com.